What Are the Impacts of a Wolf Spider Bite? 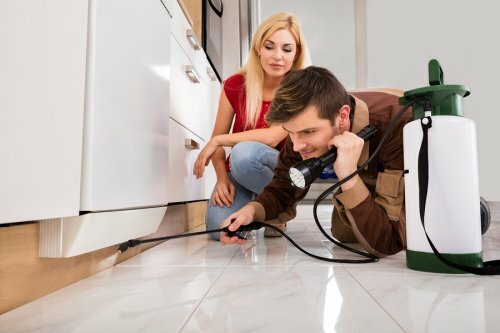 Are you hunting for an exterminator or spider control in Crystal Lake because you’ve noticed a spider nest or some of these insects in or around your home? If so, then you could benefit from taking care of spider removal sooner rather than later, particularly if you’re dealing with a venomous species. 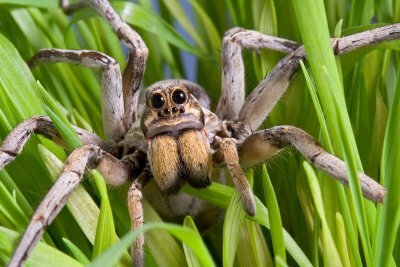 If you’ve determined that you need wolf spider removal, then continue reading to learn about the impacts of a wolf spider bite. Wolf spiders can be recognized by their prominent eyes, and their bites can sometimes be identified by their appearance, which is similar to that of a bee sting or other spider bite, and the symptoms that they cause. Often, the site of a wolf spider bite can be swollen, red, itchy, and painful. The good news is that, although wolf spiders are venomous, their venom isn’t usually too dangerous for humans. However, for immunocompromised individuals or in someone with an allergy to the venom, the symptoms can be more severe. Besides redness, itching, swelling, and pain, the area around the wound can be uncomfortable, and the skin may darken. Also, you might find that your lymph nodes swell in reaction to the bite. Commonly, the swelling and pain from a wolf spider bite lasts for only a few days, but sometimes as many as 10. In rare cases, someone may experience dizziness, nausea, and a rapid pulse after being bit by a wolf spider. In these situations, emergency medical care may be necessary. If the person who was bitten is having trouble breathing, then get medical help right away. For most cases, caring for a wolf spider bite can be done at home. The swelling can be addressed with the application of a cool, wet cloth or an ice pack, and elevating the wound may also help bring the swelling down. Also, washing the area with antibacterial soap may help prevent an infection. Finally, if the wound spreads or if your symptoms worsen after a week, then see a doctor for evaluation. If you have a spider infestation, give us a call today for removal services and solutions. Do you need pest management or an exterminator in Crystal Lake because you have wasps or bees on your property? It’s common for people to notice these stinging insects buzzing around once the weather warms up, and leaving pest removal to the pros when it comes to bees and wasps can be important for your safety. If you’re wondering whether you have bees or wasps living nearby, then watch this video to learn how to tell the difference between the homes of these insects. Is it a Wasp Nest or a Bee Hive? Yellowjackets are typically seen flying into holes in the ground or the wall of a building which leads to their hidden home. Football-shaped nests with smooth walls are often home to hornets, and umbrella-shaped nests with hexagonal cells are usually made by paper wasps. Have you spotted one of these nests near your home? 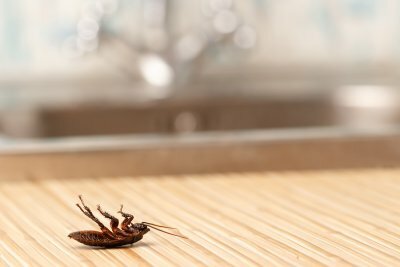 If so, then contact a pest control company about removal. Leave the stinging insects to the experts. If your home in the McHenry, IL, area is in need of bee or wasp removal, give us a call today at (847) 529-2847.